A native Vermonter, tuba and euphonium soloist Joanna Ross Herseyhas produced two solo albums, O quam mirabilis (2010) and Zigzags (2015), featuring music by composers including Hildegard von Bingen and Libby Larson in combination with her own compositions. 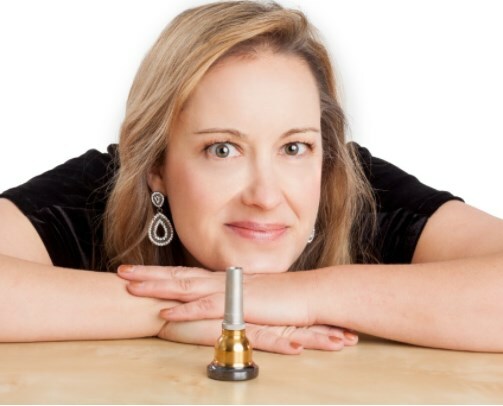 Joanna is President of the International Women’s Brass Conference, Associate Professor of Tuba and Euphonium at the University of North Carolina at Pembroke, and a Yamaha and Parker Mouthpiece Performing Artist. In collaboration with Parker Mouthpieces, Joanna has debuted the Hersey Artist Model Tuba Mouthpiece, featuring a three component stainless steel design. 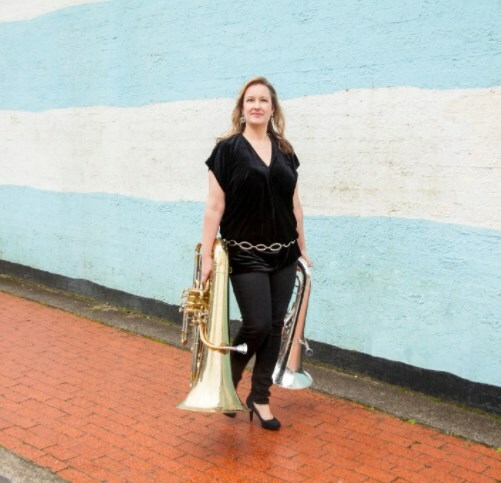 As a member of the Alchemy Tuba-Euphonium Quartet, Joanna performs throughout North America and Europe and can be heard on the group’s recordings Village Dances (1997), Prelude and Groove (2012), and their newest album being edited for summer 2019 release. 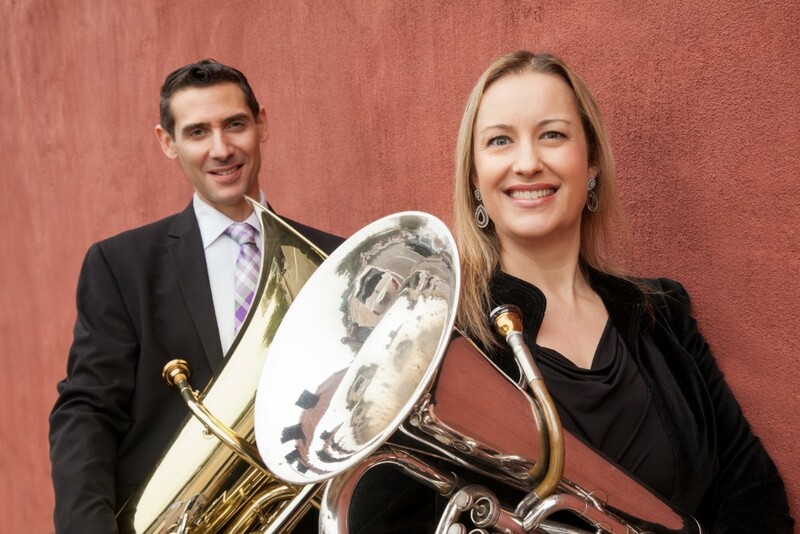 For fifteen years Alchemy has been in residence each February at the Horn-Tuba Workshop in Jever, Germany where the group performs recitals, gives master-classes and conducts ensembles. As a composer, her work is published on her own website as well as with Cimarron Music Press, including the St. Cecelia Series, featuring her arrangements of music by women and minority composers. Joanna studied with Dan Perantoni at Arizona State University, received a Master of Music in Tuba Performance from the New England Conservatory of Music studying with Chester Schmitz, and earned her Doctor of Musical Arts in Tuba Performance from the Hartt School. As Principal Tubist with the United States Coast Guard Band, Joanna performed throughout the country as a soloist and clinician after winning the position at the age of nineteen. Joanna has played for three U.S. Presidents, performed at numerous state functions for visiting dignitaries, and has appeared on The Today Show and Good Morning America. In her freelance career she has performed with artists including Placido Domingo, Roberta Flack, Marilyn Horne, Arlo Guthrie, Michael Bolton, Lee Greenwood, Arturo Sandoval and Jack Nicholson. Joanna’s research interests focus on brass history and women in 20th Century American music, and her work has been published in the International Tuba Euphonium Journal, the International Women’s Brass Conference Newsletter, the Historic Brass Society Journal, the North Carolina Music Educator’s Journal and the Journal of Historical Research in Music Education. Joanna has also contributed chapters to three books, Bands of Sisters: U.S. Military Bands During World War II, Women’s Bands in America: Performing Music and Gender, and for 2019 release, An Early History of Music Education in Universities: The Normal School Years. Hersey really shows off her versatility and mastery of the instrument…quite fascinating to hear the swirling textures, tuba riffs and pedal tones…quite different from what we could call mainstream tuba recordings. The original tuba and electronics work, a major unaccompanied tuba work all juxtaposed with Hildegard von Bingen, herself a musical visionary, sets this recording apart from anything else. Brava! With a grinning smile and a boisterous personality, Hersey was a delight as she took over the room…Solo tuba made for an eccentric concert – the instrument vibrated like a subwoofer, resonating through the floor underneath your chair – but Hersey’s playing was quite wonderful, often recalling a trumpet. Her selections by wives of (more) famous composers, such as Clara Schumann and Alma Mahler, was clever programming, but also beautiful music. It was like the compelling exhibition of an unusual and endangered bird.